Our customer asked us to visit as she really wanted a shower in her existing bathroom but was unsure what was possible with the current layout. 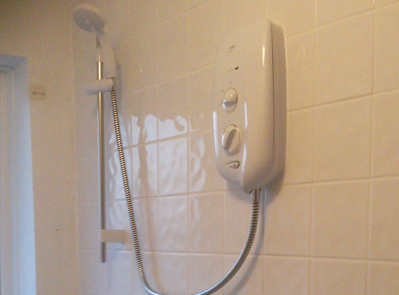 Following our visit, it was decided her best option would be to install an electric shower over her existing bath and tile the shower area to stop water penetrating the walls. 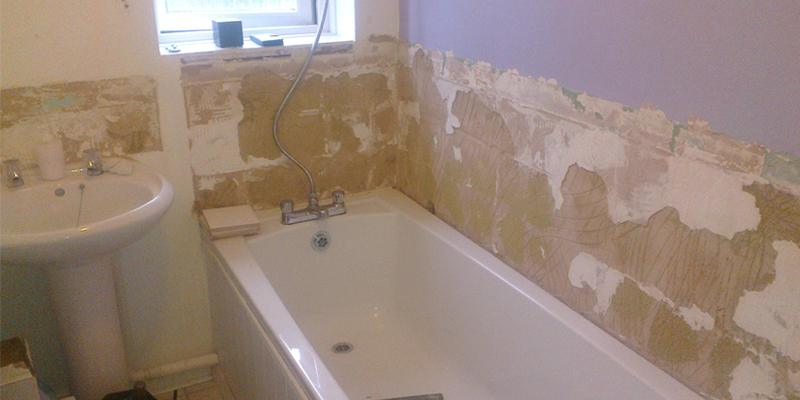 Existing splashbacks were removed around the basin and bath area, an electric shower was fitted and wired back to the consumer unit and the walls and basin area were re-tiled with the customers chosen tile. All debris was removed and disposed of by ourselves.